Recycling is an important part of protecting our environment and conserving natural resources. It also helps divert waste from the landfill and recover precious resources for reuse. When you drive up to the Scale House at our 1954 County Home Road, Marion, Iowa location, you will be asked what your load contains. You will then be directed to drive to one or more of our outdoor recycling areas. 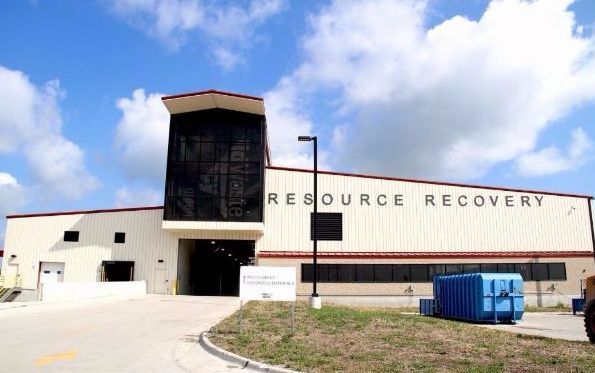 Large, bulky items are generally managed outside, and smaller recyclables, including electronics, batteries and hazardous materials, are collected inside the Resource Recovery Building. The scale can direct you to the correct area. Please be aware that fees paid for landfill disposal subsidize the cost of recycling for many items. We do our best to keep prices and rates low but, generally, recycling isn’t free.